Sit behind the steering wheel of a cool Japanese car specializing in drifting! 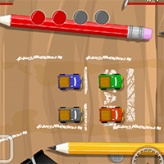 Perform some crazy moves and earn some money in Drift Hunters! Customize your car and make it look cool and drive cooler! Drift Hunters is an action-packed racing video game that focuses on drifting. 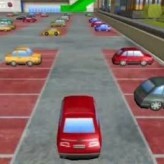 The game features many different maps and terrains, as well as upgrade options and components for your cars. Earn money by doing stunning drifts and winning races, and use the money to unlock the 10 cool unlockable cars! The game’s beautiful 3D graphics and smooth gameplay will make you want to play for more! Have fun! The game file size is huge and would take some time to load. Thank you for your patience. If you’re getting some error in Chrome, try to play it on FireFox. There have been 6,201 plays and 70 likes from 82 votes (86%) since 14/02/2017. 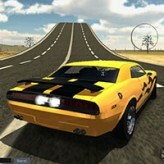 You are currently playing Drift Hunters game for free on Arcade Spot. It is a single game out of a variety of games that you can play on Arcade Spot. 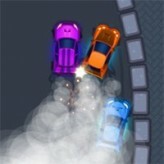 Play more games like Drift Hunters in the Action, Driving, Racing, Skill, Sports, and Unity gaming categories. This game has a rating of 86 out of 100 based on 82 user ratings. If you enjoyed playing the game, give it a thumbs up. Free Online Games and Arcade Games are added every day. Arcade Spot will bring you the best games without downloading and a fun online gaming experience on the internet.